he old stone polishing technique of hand waxing and bristle buffing, brings up any marbling created by the natural mineral colouring. Duncan moved to Canada after meeting his wife who visited Islay to search out information on her ancestors who left Islay in 1856. They married in 2004 and reside on the farm settled by her original Islay ancestors. 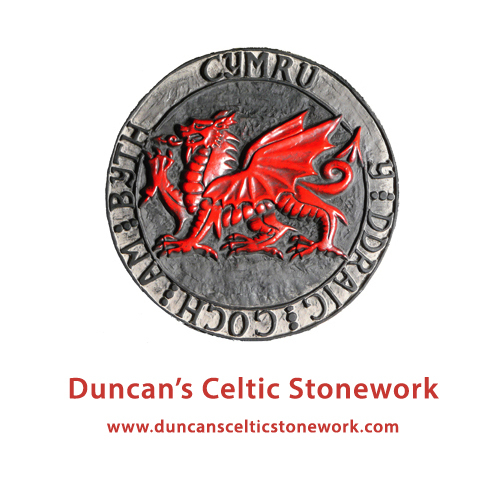 Duncan continues to develop his Celtic stonework both at home on the Blue Mountains near Collingwood, Ontario and on Islay.